Intensive Group is suitable for student who completed Advanced level with good paint and drawing skills and knowledges. Student will be requested to prepare their own topic it can be displayed at their solo exhibition or group exhibition. Mediums, ideas and styles are open. Students may pick their favourite topics and materials to make their own artwork series. 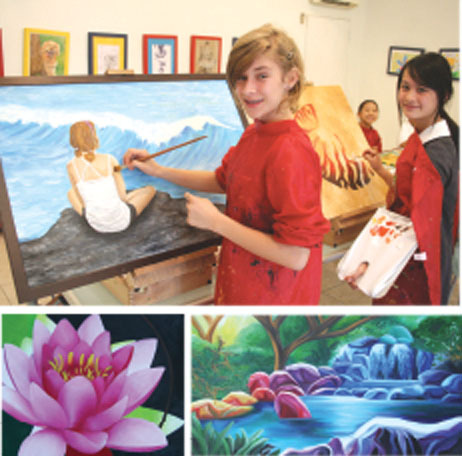 Teacher will guide student through the preparation of these artworks in good quality. Students start learning creative art with their unique PERSONAL STYLE. Exhibition may take student a year to prepare depending on their working hours. Duration of Intensive group depending on student’s working hours, it may take one to two years.